Pretty as a hatful of kittens, the Soviet "Veshmeshok" rucksack is quite likely the best carrying sack in recent history. This is the hallowed and feared black navy model! The same kind of sacks were probably used during the Napoleonic wars. However, at some point during or after WW2, these were modernized with four side straps for blankets/shelter halves/greatcoats. Even today it sees action in the modern Russian army. These were still made in the 90's, and if you're lucky, you'll get one of these recently manufactured pieces of ancient history. The dates on the sacks we get range mostly from 50's to the 80's. No, we will not rummage through the wares for the date of your choice. 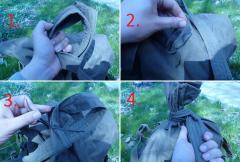 The Veshmeshok is a very simple, very rough and very durable potato-sack type carrying solution. The material is treated to resist water and quite often actually does. 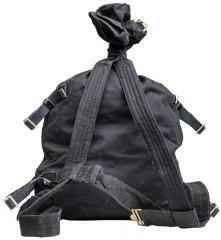 The sack is closed with a tie-string and its own shoulder straps. This system prevents pick-pockets going through the contents when you're wearing it. Amazing! These rucksacks have one external pouch, straps for attaching a greatcoat or blanket roll, and a name tag holder. Most WWII models were made without these, so remove all excess stuff for that extra special "fighting the fascists"-feeling. Do note that you'll leave holes where the stitching was any stronger. These are mostly in used condition, but nevertheless fit for purpose for a long time to come. I got two (one brown, one black), love this backpack. Simple and just perfect. This one, is the second one I've purchased from Varusteleka... I have an OD green one, and the black one. The black one, was immaculate! Just needed a good washing, and breaking in period! 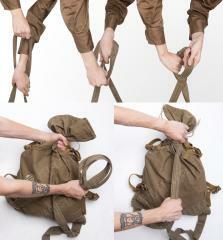 All in all, these backpacks are simplicity, pure and simple! The Russians had a winner, when they made these! A bit strange to get used to initially, but when you deal with it for a few weeks it really grows on you and you start to love it, like a retarded child. Surprisingly comfy even when loaded with 1.5L of water, a few kgs of kitty litter and other assorted small daily use items. My gf says the writing inside of my bag says it’s from ‘77 and that it was manufactured in a factory named after Karl Marx (probably not such a rare factory name but I thought I should mention it). 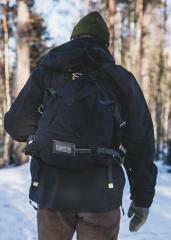 The button on the front fell off within the first few weeks, but other than this weak point I don’t think there is much that can fail on this pack.. it looks cool, works very well and will last you until you’re dead. Definitely pick one up. 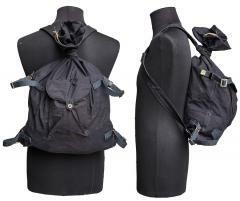 I'm so in love with this--it's my new favorite daypack of all time. Sure, it's ugly, but it's TOUGH. 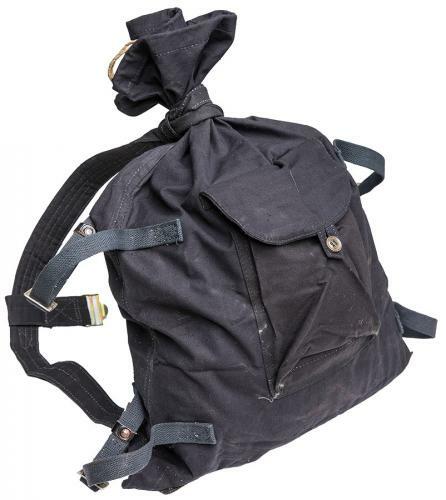 I carried more than 30kg of small kettlebells around in this, and it did fine. Here's the best thing: it rolls up tiny and light. When you're traveling, you can slip it into your luggage without taking up space and weight and then when you arrive at your destination, you have your favorite daypack with you. For an improvised stiffener, use a laptop or a piece of plywood. 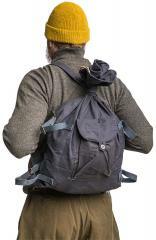 Honestly, I think all other daypacks in existence could disappear from the face of the earth in some kind of Daypack Rapture, leaving only the veshmeshoks, and the world would no worse off. i have a black one. i imagine it is easier to find things in the green one, the inside of mine is very dark, but i have a ton of green bags already. super tough and fun to use. Perfect daypack. Picked up a third one. This one was in perfect "good as new" condition. Made 1969 and probably been in storage ever since. Throwing in a bit of padding will do wonders for your back. Weird at first, but grows on you like a benign tumor. It might be ugly, but it doesn't hurt anyone.